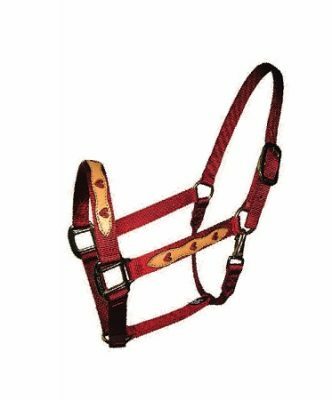 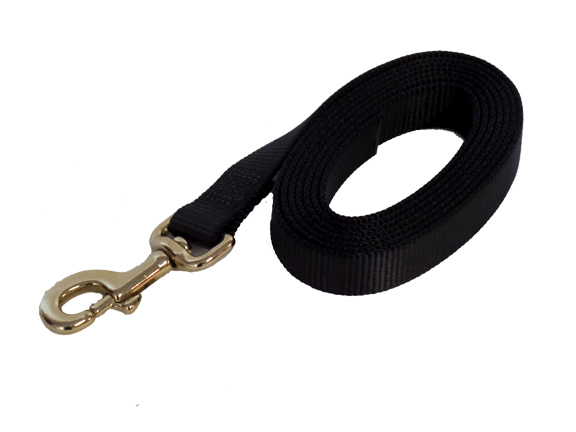 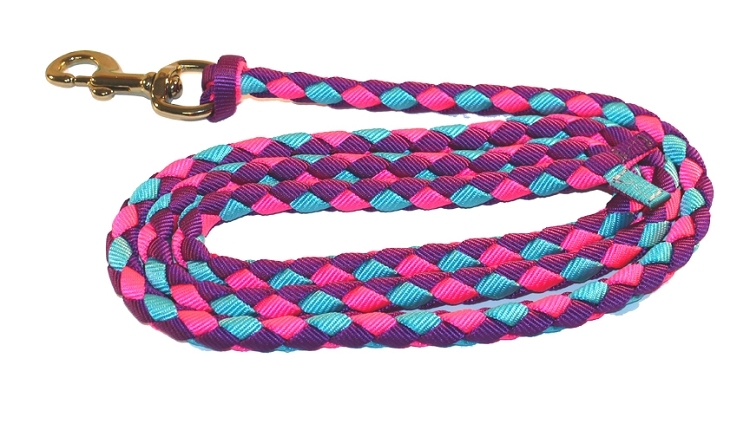 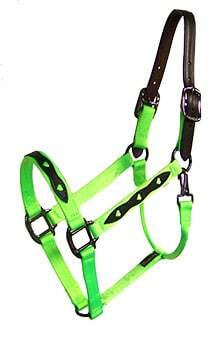 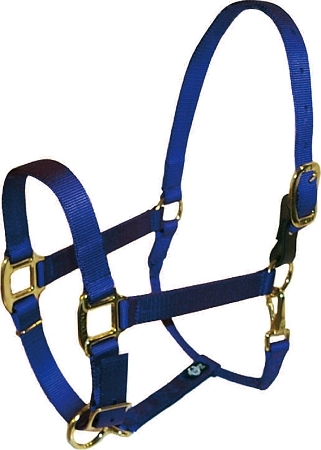 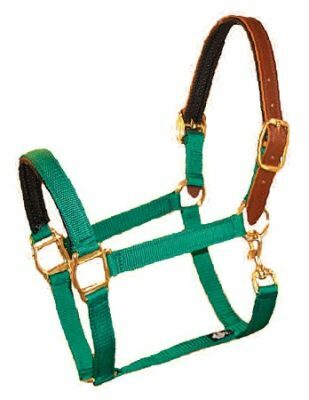 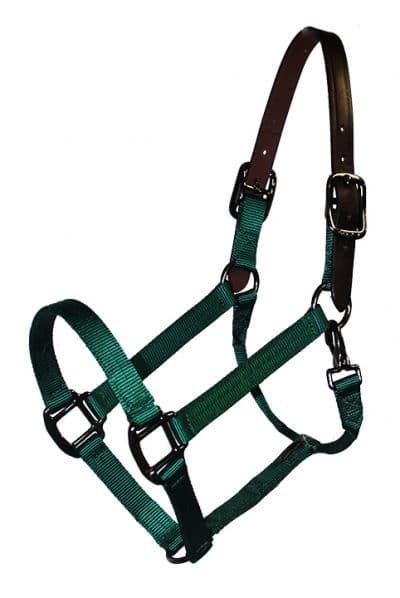 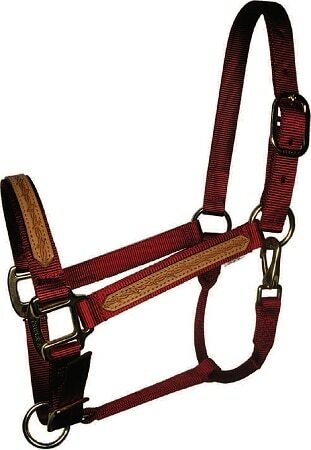 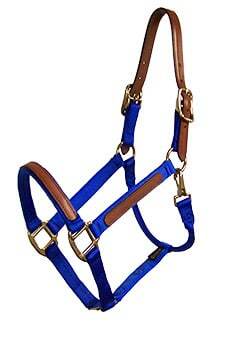 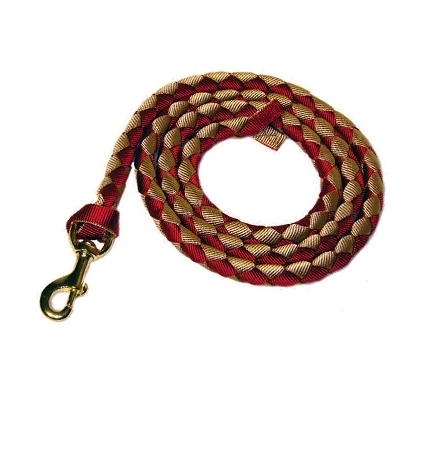 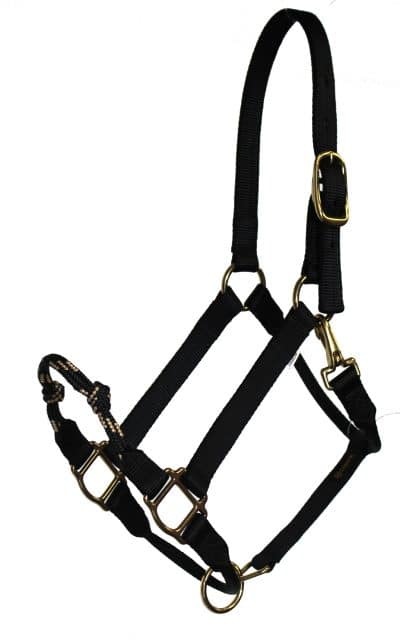 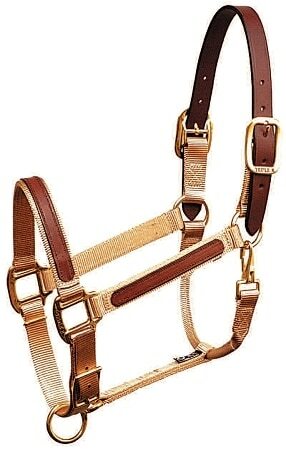 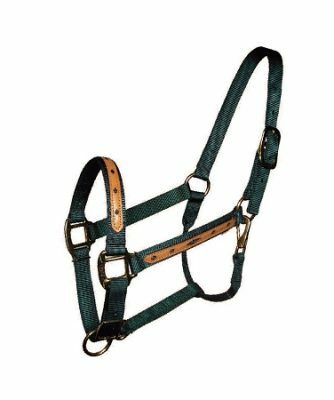 This specialty combination halter features 5/8″ soft braid nose with adjustable knots that apply pressure and encourage lightness when training, rolled chin and ring to help keep the halter in the correct position at all times. 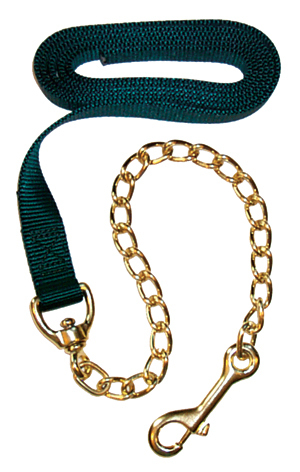 Made out of 1″ premium nylon with basic bronze hardware. 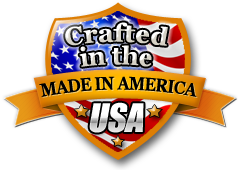 Quality crafted in the U.S.A.